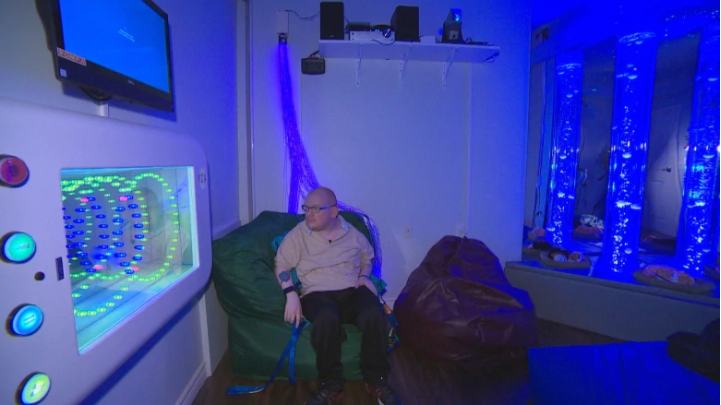 The L’Arche community in Halifax has opened one of the first Snoezelen rooms in Nova Scotia, designed to bring a calming respite for people with disabilities. Like the Danish idea of hygge, which caught on last year, snoezelen comes from Europe. Depending on the translation, the Dutch word means sniffing and dozing, or seeking relaxation. 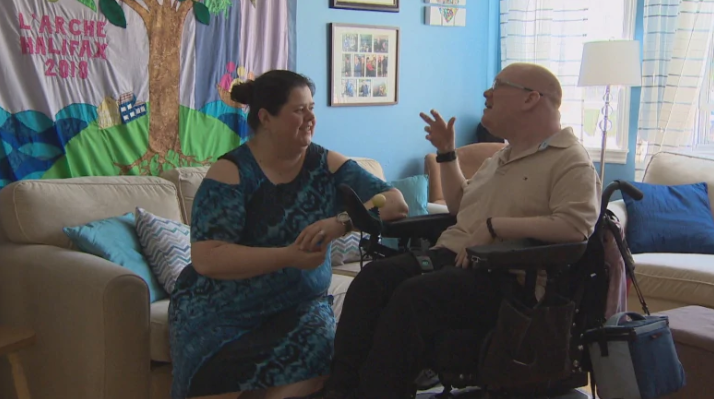 Tricia Scott is the home’s co-ordinator for L’Arche Halifax, a community where caregivers live with people who have intellectual, and often physical, disabilities. 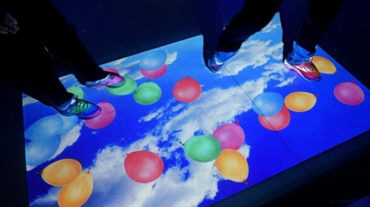 She says the multi-sensory room creates a similar experience to flotation tanks or meditation by using bubble tubes, lights, music, aromatherapy and projections of night skies or forest walks. Shawn Moulton loves the big comfy chair in the corner of the room, which produces music he can feel in his body. “It’s more comfortable … than this chair,” he says, indicating his wheelchair. Once someone has slipped a sling under him, he can hoist himself over to that comfortable chair. 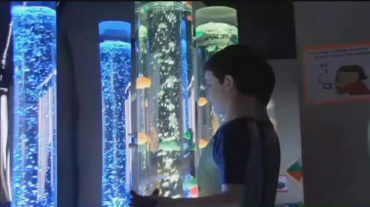 Using buttons, he launches themes that tie together the music, lights and bubbles. “There are all these accessibility options to make [it] possible for a person to come in here and be as independent as possible,” Scott says. “This is my favourite scene to hear,” Moulton says as Greensleeves plays while the room shades green around a sunrise-inspired projection. A push of the button launches Vivaldi’s Spring and a blooming landscape of reds and yellows. “It makes me feel sleepy,” Moulton says. The converted bedroom off the main hall also has a big, soft mattress with a 30-kilogram blanket that gives a calming “hug” to people in distress. One resident deals with intense anxiety that can cause him to lash out. He now spends 30 minutes in the room to start his day. Scott says he’s found the peaceful feeling stays with him for hours. The room can be set to a “high energy” atmosphere to match the wound-up moods people enter in, and then the room calms down, soothing the person as well. “Or you can just have a good time — there’s a karaoke version!” Scott says. L’Arche started with a home-built relaxation room, but then got a chance to pitch the multi-sensory room to 100 Women Who Care in Halifax. Scott had five minutes to convince the philanthropists to help L’Arche create a high-tech Snoezelen room (Snoezelen is a leading company in creating the multi-sensory rooms). The women cut her a cheque on the spot. 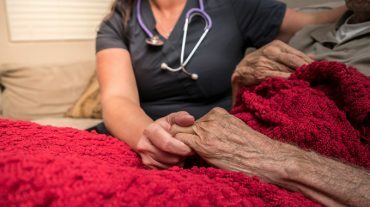 “There’s not been a lot of scientific evidence into how it helps or happens, but there is real evidence that it makes a difference to people,” she says. It’s just for L’Arche members now, but they hope to open it to the wider community as a way to get to know their neighbours. Click here to read the full article at CBC News.